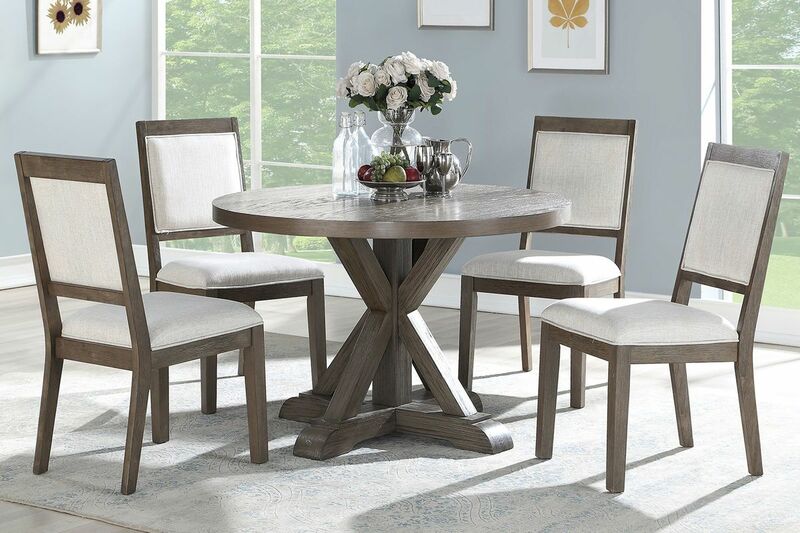 Contemporary lodge styling creates a grand statement in this cozy dining collection. Architectural elements such as the timber beam pedestal base on the table give the set warmth and visual appeal complemented by the upscale grey washed finish. 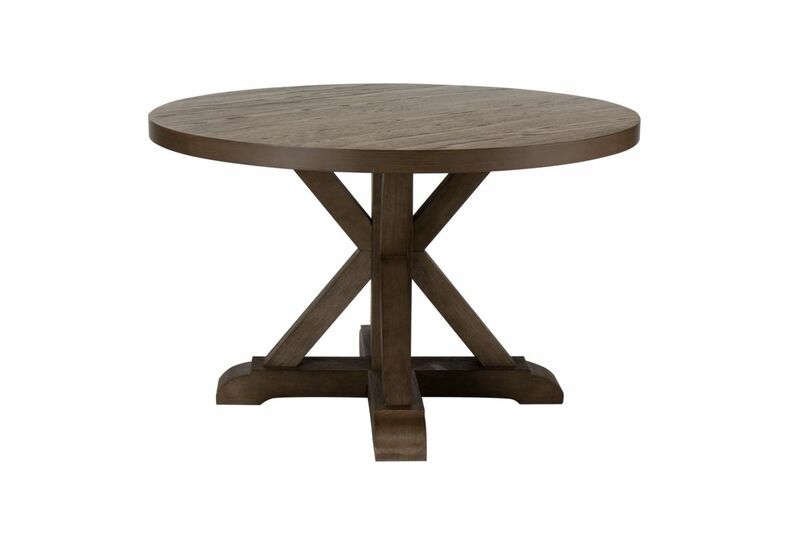 Constructed of hardwood solids and oak veneers. The table can seat six comfortably while the round shape gives the set a more intimate conversational feel.